This is completely off topic for this blog, but it’s useful information and hopefully people will benefit from it. 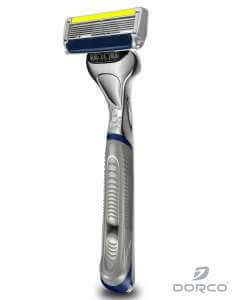 This article is a review and comparison of all Dorco mens Pace razors including Pace 7, 6 Plus, 4, 3, and 2, based on my experience of owning and using them all. I reviewed the Gillette Fusion and Schick Hydro for comparison. This post is work in progress and will change over the first half of 2016. Updated May 2016. I shave every day. As far as I can tell I have fairly average facial hair for a guy with English / Scottish ancestry, both in terms of coverage and growth rate. I’m looking for a good value product that gets this chore done as quickly and cheaply as possible while still doing a decent job. I typically shave one pass with the grain, then immediately after that another pass against the grain while it’s still damp and lubricated, then I lather up and do a third pass against the grain. Sometimes I need to do another pass to get things really smooth. In 2015 I bought Gillette’s “new and improved” shaving foam. The only thing that seemed “new and improved” to me was that it had 1/3 of the foam compared with other brands and it cost more. 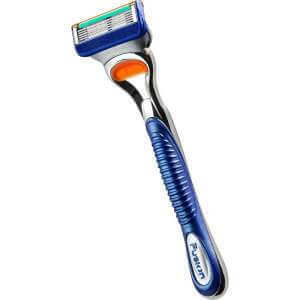 I’d been a Gillette customer since I started shaving, but with the constant razor price rises this was my breaking point where thought to myself “enough is enough” and started looking at other options – Dorco, Schick, and the Merkur 34C double edged razor. I initially decided shave with every razor I have for a week to see how they went, but I ended up chopping and changing a little. I’ve found in the past that after not shaving on the weekend that first day can really take it out of a razor, so I’ll do a quick first run with a different razor to remove the worst of it. This review is a result of a couple of months shaving, including multiple blades of each type, and making notes each day. Dorco razors are the main product we’re reviewing, with the others just for reference. Dorco, based in South Korea, has been making razors 60 years, but have only recently become popular in the USA. They’re still not mainstream, but they’re starting to become more popular. They make disposable and cartridge razors for men and women. Their prices tend to be priced around 70% lower than Gillette and Schick. Note that this conclusion applies to how the razor works for me, with my skin type, using my technique. Others may find completely different results. Prices are best prices from Dorco USA or Amazon, purchased in bulk. Dorco Pace 2 $0.76 3 Cheap, lightweight, poorly built, and does a basic job. Not for anyone who wants a really smooth, clean shave in less than four passes, but ok for anyone who wants an average shave for very little money. Dorco Pace 3 $0.94 4 Better than most Dorco razors, but sometimes causes irritation and doesn’t cut as well as the better razors. It’s good value, though I’d suggest paying more for a better product. Dorco Pace 4 $1.17 4 Maybe acceptable. Horrendous at more than one days growth, feels like it’s pulling the hair out. Just acceptable on a single day’s growth, though it feels blunt. Dorco Pace 6 Plus $1.75 7 Good, tentatively recommended. I’d say 70% as good as Gillette Fusion, with the major downsides being a head that doesn’t tilt as much and the ergonomics / weighting isn’t quite as good. There is more variation between heads than I’d like, and it’s not as smooth or easy to shave as with a Gillette. Dorco Pace 7 $1.89 5 Not really recommended, given the price and inferior performance compared with cheaper models. Blade feels duller than others, causes more irritation. Multiple passes required to do an adequate job. Gillette Fusion $3.17 9 The gold standard. Works very well, sharp, lasts as long as any razor, well balanced, generally a pleasure to use. My problem with Gillette is their ever increasing unit prices, including their cans of foam / gel which get smaller and more expensive. 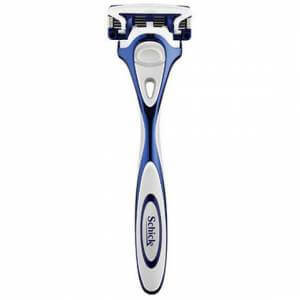 Schick Hydro 3 $1.25 9 These are great value – effective, comfortable, and cheap when purchased in bulk from Amazon. Slightly more irritation than the Fusion. They’re almost as comfortable as the Fusion but with the value of Dorco. Schick Hydro 5 $2.75 8 More irritation with a new blade than the Fusion or Hydro 3 – sometimes my skin is still irritated the next day. Better than the Dorco. Not as good value as the Hydro 3, though better value on ebay. Incredible blade life, currently 4 weeks and it’s still fine. Merkur 34C $0.10 (approx) 2 Great for the masochist or someone working on principle. Extremely cheap, very sharp blades, but the lack of pivoting head means it’s much more difficult to use than a modern razor, and much slower. Far more cuts and skin irritation. As technique improves the irritation and need for 3+ passes may decrease, but that would possibly take months. Great for taking off longer hair without ruining expensive razors. 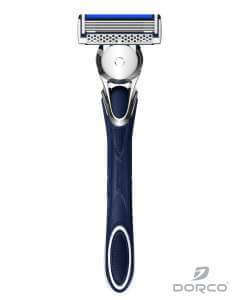 Overall I found the Pace 6 Plus to be the best Dorco Razor. It doesn’t cut as well as the Gilette Fusion, it’s not as good ergonomically, and it’s not as comfortable on the skin, but at around half the price I think it’s better value. I think Dorco has a lot of potential, but maybe marketing is driving them. If they tried to create the best, most effective razor possible, which probably has 3-5 blades, they might be able to make something that really competes with Gillette. Given how cheap the razors are I suggest anyone interested buy one handle and a pack of any blades you think are worth trying after reading this review. 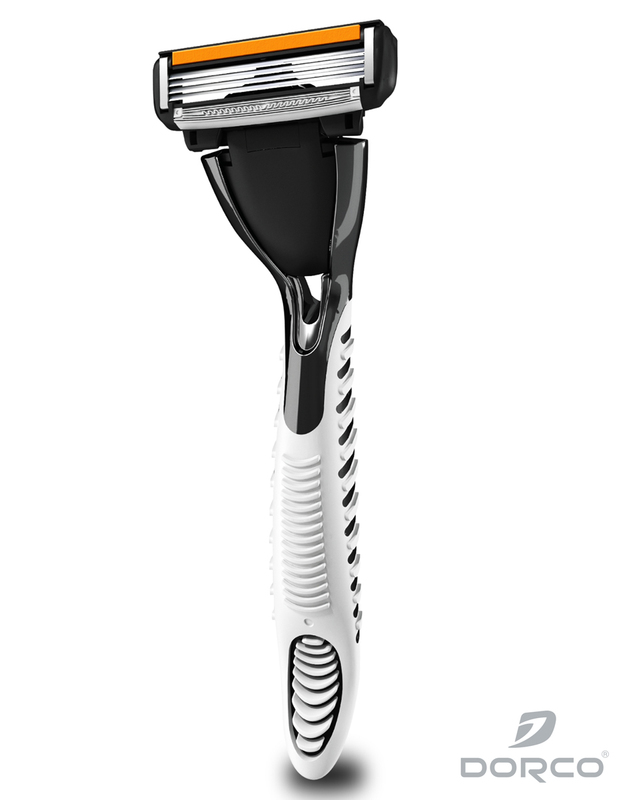 Note the Pace 2 uses a different handle from the other Pace razors. I got some of the two, four and six blade Dorco models from Dollar Shave Club, a Dorco reseller, as it was convenient and easily accessible. I liked Dollar Shave club, but they come out a bit more expensive compared with bulk purchases elsewhere. I used the four and six blade models for a few weeks before I started this review, to get used to them. One great thing about Dorco razors is most cartridges all have the same connection, so you don’t have to buy a new handle to try them all out – one size fits all except the Pace 2. The connector works fine, it’s not quite as easy to use as Gillette, but it hasn’t caused me any problems. I used the same handle for all the heads, which means the ergonomics between the razors is similar. 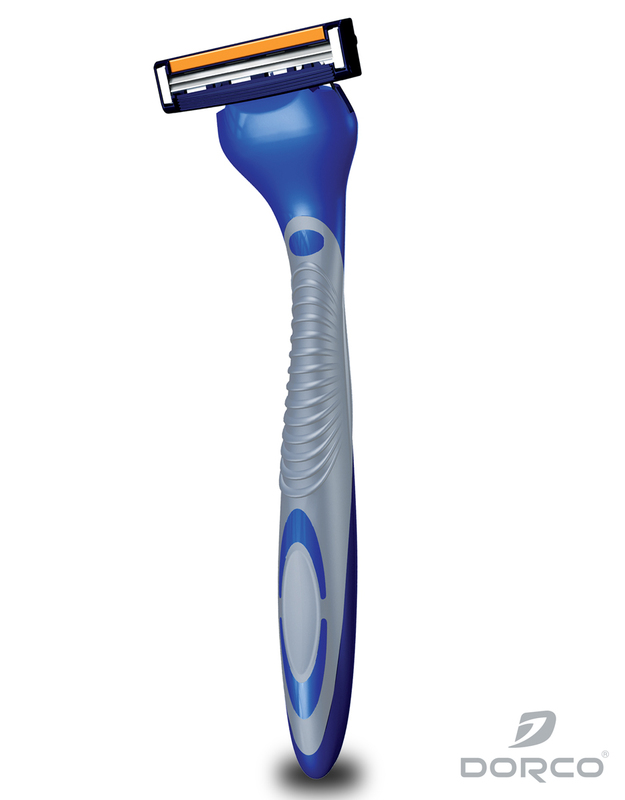 The head of the Dorco tilts back around 30 degrees, compared with around 70-80 degrees on a Gillette Fusion razor. This makes reverse shaving under the nose more difficult and is one drawback of the Dorco razors. I was initially quite interested in the Pace 7. It has a slightly smaller head than the Pace 6 plus which I thought would be better for reverse shaving under my nose. The blades are packed in very close together, which made me wonder how effective it’d be. The first day using the Pace 7 I found that the blades feel less sharp and less comfortable than the Pace 6 plus. It shaved ok, though it took an extra pass, and because it wasn’t as comfortable it didn’t do as well on my top lip. Ergonomically, using the same handle as Pace 6, the Pace 7 seems to tilt and conform to my face slightly better. The second day using the Pace 7 was also my last, for a while. It caused more irritation than the Pace 6 plus or Gillette razors, it wasn’t as comfortable, didn’t feel as sharp, and required more passes. After one pass with the grain and two against I finished off with my old faithful Fusion. The Pace 7 does ok with three days of hair growth, cutting through cleanly and comfortably. I used it for another day (the fourth) and it did a reasonable job. I then threw it away and tried another the next day. It’s not entirely comfortable, I suspect it’s because the rubber that leads the blades actually grips and pulls the skin more than is ideal. The new Pace 7 blade did a reasonable job, a reasonably close shave, though not quite as comfortable as the Pace 6 Plus. The shave just isn’t as comfortable as it should be, and requires on average one more pass than the Pace 6 or Gillette razors. Overall I rate the Pace 7 as somewhere around average. It’s the most expensive of the Dorco razors, and really doesn’t live up to expectations. I have to wonder if they wanted to be the first to create a seven blade razor and rushed it through design and development. 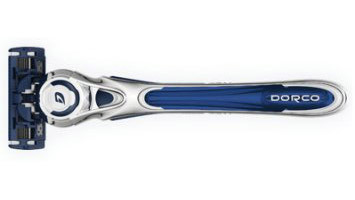 The Dorco Pace 6 Plus is the first Dorco razor I tried, so it really set the standard for the others. 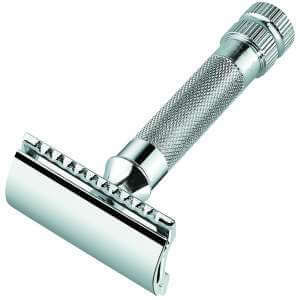 Overall I found it comfortable, effective, and by far the best of the Dorco razors. As a bonus the blade can last for up to two weeks, though I’ve found significant variation – some I discard after four shaves. Here’s a log of my experience with a new blade, after a couple of weeks getting used to the system. Day 1: The blades cut through the hair cleanly, with no pulling or grabbing. Its larger than average head doesn’t pivot as much as a Gillette, which makes it more difficult to shave the top lip when you’re going against the grain. After my shave I can feel a couple of areas that aren’t perfectly smooth, but it’s definitely a good shave. Day 2: another good shave, comfortable and close. Day 3: another good shave, comfortable and close. I’m feeling like it’s not quite as close as my old Gilette, but it’s 95% there. Day 4: today the razor didn’t feel as sharp, and didn’t cut as close. I’m not sure if it was the razor or my technique. The next shave will help work that out. Day 5: shaved three days growth, razor worked well. A close, smooth shave. Day 6: you can tell it’s not quite as sharp, but it’s still a comfortable, close shave. Day 7: as day 6. Day 8: there was significant degradation today. The blades didn’t feel as sharp, and the shave wasn’t quite as close, but it’s still ok. I’d say this razor has a day or two left in it for anyone who appreciates a really close smooth shave, but would probably continue to work longer for people who are less demanding. Day 9: it’s obvious the razor is going down hill, not as sharp and not quite as comfortable, but it’s still an acceptable shave. The main thing that bothers me is still the size of the head and the limited pivot angle, which make it very difficult to shave my top lip against the grain. Day 10: shaving three days growth, it worked fine. It’s not as sharp as new, but it worked ok. It’s time to move on to another razor to evaluate it, but I may come back to this one later to see how many days I can get out of it! Update May 2016. I put in a new cartridge on a Monday, got rid of the worst of the weekend hair with my double edged razor, then shaved five days with the Pace 6 plus. I didn’t find this razor as comfortable on my skin as the last one, and by Friday I’d had enough and threw it out. This makes me wonder if there’s variation between the cartridges, something I’ve never noticed with the Gillette. All in all the Pace 6 Plus can give a comfortable, effective shave, though it’s not as good as a branded razor. The longevity of the cartridges is variable. The Pace 4 is probably one of my least favorite Dorco razors. On 2-3 days growth it feels like it’s ripping it out by the root, it’s really uncomfortable. On only a single days growth it does a reasonable job. I only used the Pace 4 for a few days as I found it quite uncomfortable. All in all I’ll probably finish off my Pace 4 cartridges on days I’m shaving a single days growth, but there’s a chance I’ll just toss them out as well. The Dorco Pace 3 was a welcome relief from the lackluster Pace 7 and Pace 4. Basically – it works. It’s effective on 3 days growth, cutting cleanly through. It pivots well, and the smaller head works better for reverse shaving of the top lip. The pivot still isn’t as much as I’d like. I’m starting to suspect that the rubber that leads the blades is important – the most effective razors have simple rubber lines parallel to the blades, the less effective ones have different designs. However on the second day of using this razor it was evident that it caused more skin irritation than average the previous day, and that the blades weren’t as sharp as the Pace 6. They’re better than the Pace 4 and Pace 7, but not as good as the Pace 6. It could be something to do with blade spacing or angle, perhaps. Still, it’s good enough that I’ll keep using it for a few more days. The third day using the razor it didn’t feel as sharp, and the skin irritation was more obvious. It took one pass with the grain and three passes against the grain to really do a good job, it caused a couple of small cuts. I’ll try again with another cartridge at some point. All in all, it’s not a bad razor for the price, and it’s better than most Dorco razors, but it’s not a great razor. The Dorco Pace 2 thin is an interesting little razor. Originally I ordered blades for it assuming it would fit the regular pace handle, but it has its own handle. The first handle that arrived was broken, which gives a fairly good idea of the quality of the product. I sourced this from Dollar Shave Club in Australia, who promptly replaced the broken handle. 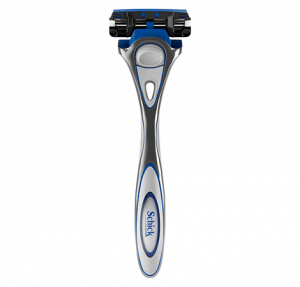 The Pace 2 is a lightweight, relatively low quality razor with a cheap feel. Instead of rubber leading the blades to stretch the skin it uses a hard plastic. The head initially squeaked when it tilted, like it needed oiling, but that stopped when I used it properly. The razor is reasonably comfortable to use, in that it cuts cleanly without pulling, and the head pivots reasonably well, and the ergonomics are pretty good. It’s smaller sized means reverse shaving of the top lip is relatively easy. Unfortunately I required around double the number of passes with the Pace 2 as with a better razor, and ended up with a worse shave. It copes with three days growth reasonably well, though not as well as the Pace 6 Plus, Pace 7, or the brand name razors, but better than the Pace 4. All in all the cheap feel and the extra passes required for a poorer shave mean I won’t use it, though for people who are happy with a pretty good shave rather than a really good shave who want value for money should consider it. 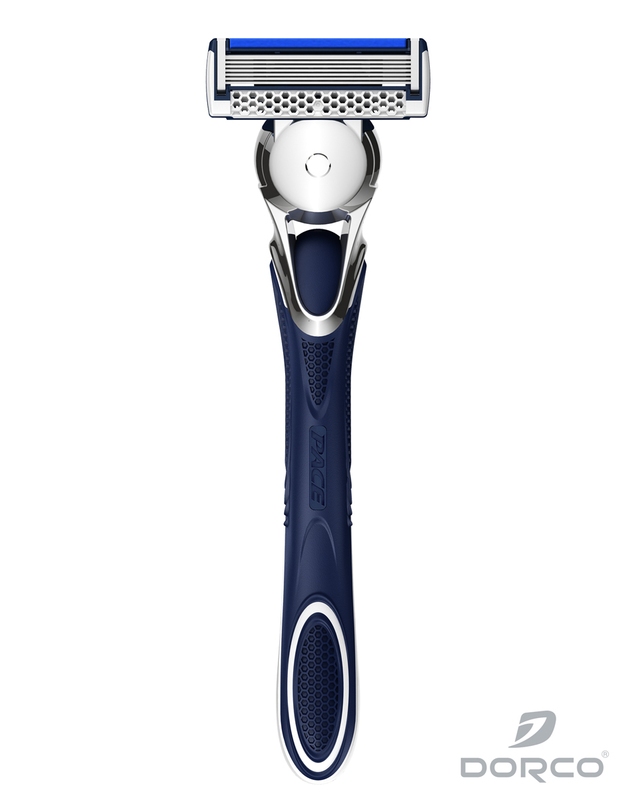 The Gillette Fusion (standard version, no power or gimmicks) is my go-to razor. 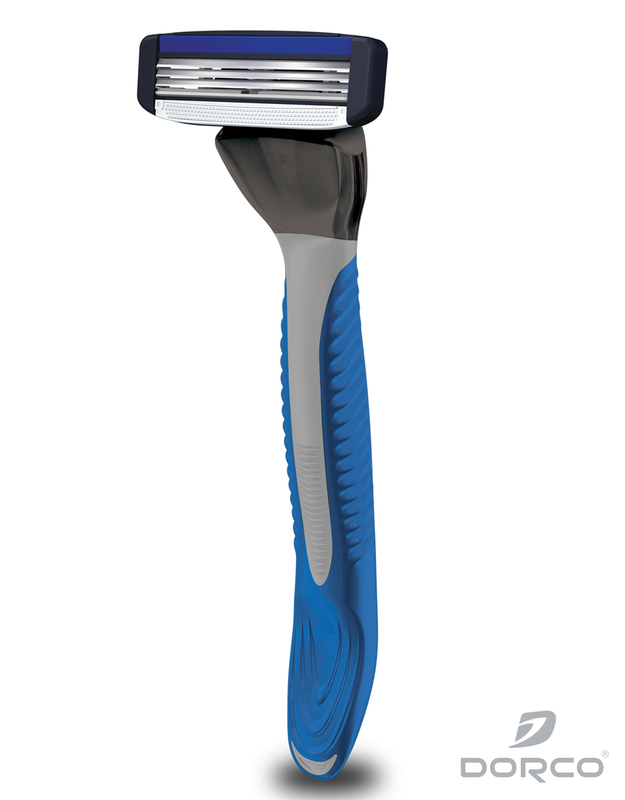 It has sharp blades, gives a comfortable shave, lasts 1-2 weeks, and has great ergonomics and weighting. After the Pace 7 irritated my face I switched back to the Fusion for a while to give it a chance to reset before I moved on to the next Dorco review. Here’s a log of what I found. Day 1: a close, comfortable shave, well balanced. Fewer passes needed than with other razors. Day 2: As above, slightly better than day 1 as it’s just a sharp but maybe more comfortable. Day 3: as day 2, comfortable and effective. Day 4: I didn’t shave for a couple of days so I did a pass with the double edged razor to get rid of the worst of it, left with around the same as a regular day. The Gillette dealt with the rest quickly and comfortably. Day 5: as day 2. Day 6: after using the Pace 7 for a few days going back to the 6 day old Gillette is a pleasure. A quick, comfortable, effective shave. At this point I moved on to another razor to review, but the Gillette is still going strong. The S chick Hydro 3 is one of the last razors I tested. I’d tried Schick five years ago and found them good, but not good enough to change from Gillette. The Hydro 3 is an interesting razor. It’s comfortable to use, gliding across my face smoother than any other razor I’ve tried – it almost feels like it’s on wheels. It’s light, comfortable to hold, and the head tilts back as far as the Gillette, further than the Dorco razors. I find that sometimes I get a bit more skin irritation than with the Fusion, and a few more nicks, but it’s not too bad. The shave quality is just a touch below the Fusion, in that I tend to miss a little more, and it’s just not quite as close – but it’s almost as good. In the end this razor lasted me 18 shaves, lathering up twice per day (once with, once against the grain), though the last few days the shave quality wasn’t as good as at the start. At the end the lubricating strip had worn off, but with gel it was still fine. Someone who was more tolerant of lower quality shaves could probably get a month out of one of these things. All in all I’m very impressed and I’m definitely going to try the five blade version. After trying the Hydro 3 I figured I might as well try the Hydro 5 as well. The theory is more blades means less pressure and therefore less irritation, but unfortunately that’s not what I found. The Hydro 5 starts out very sharp, feeling sharper than a Gillette, and I get a few small cuts. After a few days it settles in with less cuts and works well. However I find my skin a little more irritated, even the next day when I shave sometimes I can feel it. It’s not a big deal, and I’ll definitely use up the five cartridges than I got from ebay, but I’d probably prefer the Hydro 3 overall. One good thing about this razor is the longevity – I’ve using the same cartridge for three weeks now, shaving every weekday with two passes, around 30 shaves. Gillette rarely last that long, and only the Dorco Pace 6 can come close. Another cartridge I used is still going strong after 45 shaves – the longevity of these blades is remarkable! Compared with other razors I’d say they’re still significantly better than the Dorco, but not as good as the Gillette Fusion. My first stop on this razor journey was to look into double edged razors. Someone pointed me at double edged razors, and after some research I purchased the Merkur 34C. This is a classic razor that takes double edged razor blades – a single blade, where nothing tilts, pivots, or shakes unless you do it yourself. The big advantage is you can get blades very very cheap – $10 for 100, and each blade should last around a week. People who use double edged razors told me to invest in a bowl, a brush, and some traditional foam, but I decided against that: for a quick 6am morning shave it sounded annoying and impractical, so I went with a can of Shick gel / foam from the supermarket. Apparently it’s not as good, but hey it’s quick and easy. I also purchased a few types of blades, though I noticed little difference between them. I spent a couple of weeks shaving with the double edged razor. I found that a shave took much longer, didn’t shave as close, caused more skin irritation, and that I nicked myself far more often than with a more modern razor. One thing it is good for is if you’ve not shaved for a while, it removes the longer hair more effectively than a modern razor. I have no desire to have to shave with one of these things for a week even for a review. There is something to say about the extreme value and the simplicity, but I suspect it would take some time to get good enough with one of these to make it your main razor. It does take a while to get good with a double edge razor. That is what i mostly shave with. Once you really vet good with one you can get a closer shave with less irritation than with any cartrigde. Yes it does take longer, ut is more enjoyable. I still use a cartridge for my head and for when I am in a hurry or didnt get the best shave with the DE that day. I use the Dorco pace 6 plus, works great for me. But can foam or gel stinks. You will get better shaves and less irritation from any razor using traditional soap and brush. Shaving with a DE razor seems to take more practice and experience, more equipment, and significantly more time especially for beginners. For me it’s not a worthy tradeoff every day, and not using one every day you probably wouldn’t build up the experience necessary to do it well. The swivel head on cartridge razors was a major step forwards IMHO, and I’ll personally keep using them. Consider an intermediate. Shave using a brush & cream, & use a Gillette Guard cartridge razor. 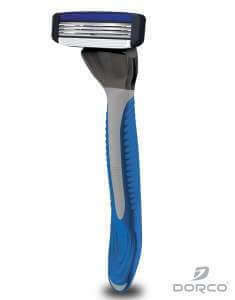 These are one of Gillette’s best designed razors,& were voted the best cartridge razor by TSR in 2007. Pivoting head, but one blade – & an double open comb head. A first for any cartridge razor. Available a Maggards & WCS. The really basic razor looks interesting, and very cheap, but probably not worth the trouble for me. I’m trying out the Defender Razor right now. I’ll write it up some time, but it seems much better than Dorco but not quite as good as Gilette / Schick. 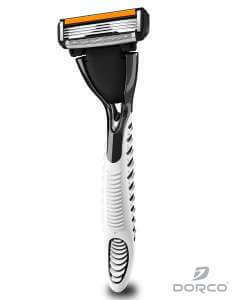 Where can I buy pace razors for men? I agree 100% on your assessment of the Dorco Pace 7. I bought one over a 1 month ago, thinking I could save a ton of money over Gillette’s ProFusion. The thought of seven blades makes it sound like an innovative product. What a mistake!